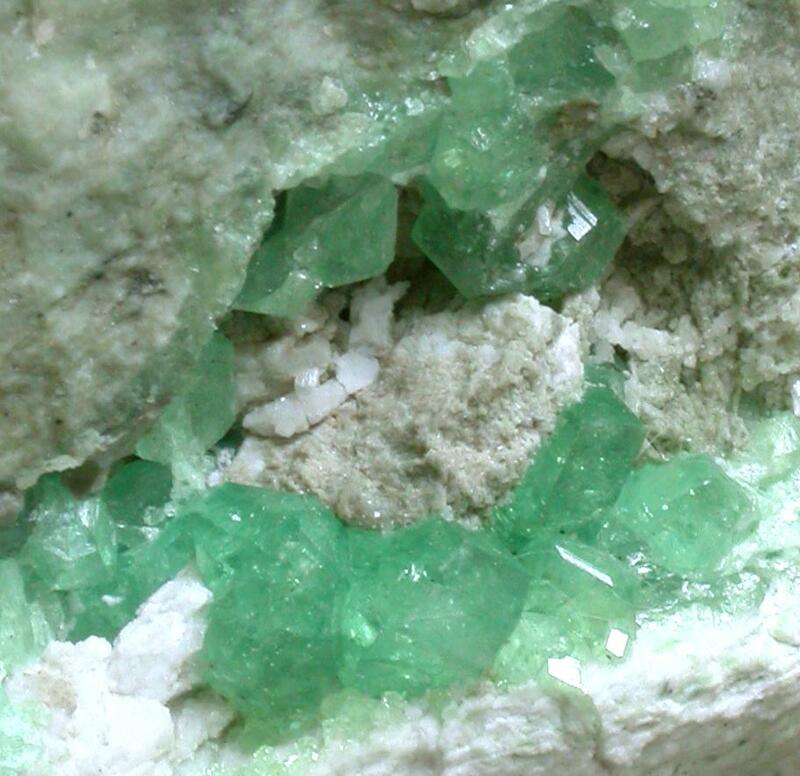 SHARING A PASSION FOR FINE MINERAL SPECIMENS! Garnet Group consists of Andradite-Grossular Series, Grossular-Hibschite Series, Grossular-Katoite Series, Grossular-Uvarovite Series, Pyrope-Grossular Series. Grossular is a calcium-aluminium mineral species of the garnet group with the formula Ca3Al2(SiO4)3. 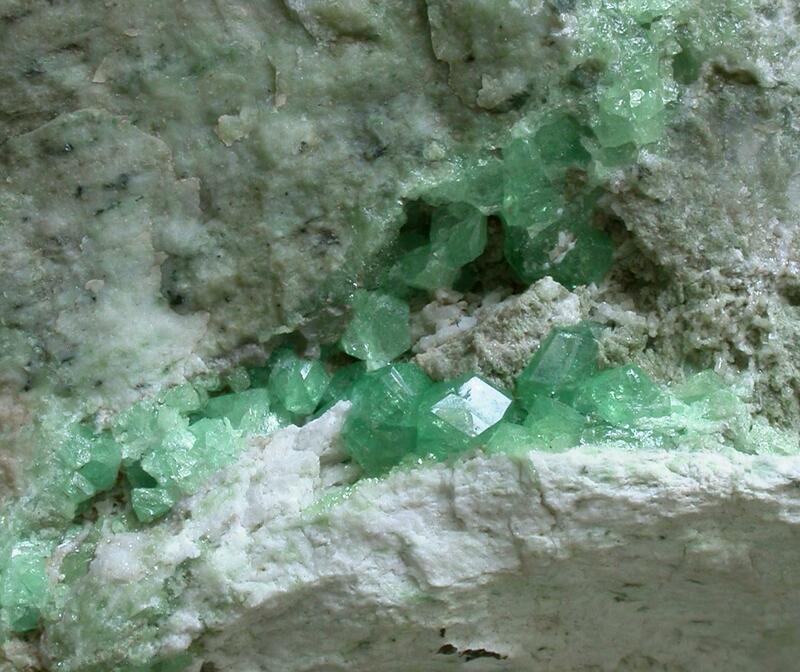 Grossular is found in contact metamorphosed limestones and in contact zones of syenite, granite and gabbro with vesuvianite, diopside, wollastonite as is the case in Jeffrey mine. Beautiful Demantoid Garnet crystals from Lac D’Amiante (Lake of Asbectos) Mine, Black Lake, Quebec, Canada. Specimen is about 140 x 110 x 70 mm. Attractive cabinet size specimen. This are very rare. For any specimens shown in my Facebook Albums if not shown here please contact by email.